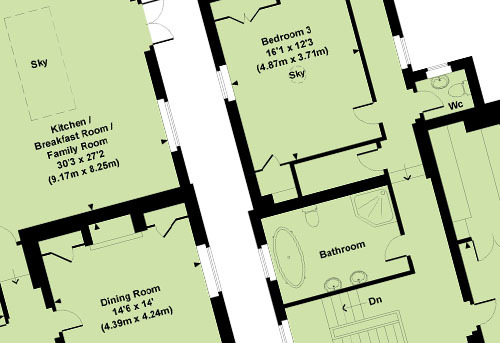 Today, floorplans are an essential tool in marketing a property. Unfortunately, there are too many inaccurate floorplans littering property listing websites. Fortunately, Property Focus can help - we only produce accurate and detailed plans drafted to the Royal Institute of Chartered Surveyors code of practice. We use Swiss-made laser measurers and CAD software to ensure the highest-possible levels of accuracy. We can add colour to the plan at no extra cost and we usually supply the plan in PDF and JPEG for electronic use and WMF for printing. We will have the plan back to you, for approval, the next working day after the property has been visited.